I was finally able to find a copy of 宇宙戦隊NOIZ's 2006 re-issue サイボーグロックショウ完全盤 for a good price. As you can see it comes with a completely different sleeve! While surfing the web yesterday evening I stumbled upon another release by 宇宙戦隊NOIZ which was released with very little promotion and was a digital only release. The title is 稲妻VICTORY, was issued last month and does not even come with proper artwork. It has landed! 宇宙戦隊NOIZ's first single for 2013 and their first one after four years since BRAND NEW DAY was released as a single in 2009. The new single PRECOG was released yesterday in Japan as two different editions. Each one contains a DVD with different footage. A further four (!) more singles will be released, one every month, possibly prior to the launch of a new album later this year. The second one will be issued on the 21st of August called パラレルマインド (or PARALLEL MIND). I was finally able to track down a cheap copy of Gotye's Somebody That I Used To Know 7" single which was released in January 2012 in the US. It is supposed to be limited to just a few hundred copies and I guess that is the reason why it is always priced US$25 or higher on the secondhand market. Final update for today and it includes two Lovelife releases. One was released last month where they were featured on the B-side of the split 7" single West Coast/Every Minute. 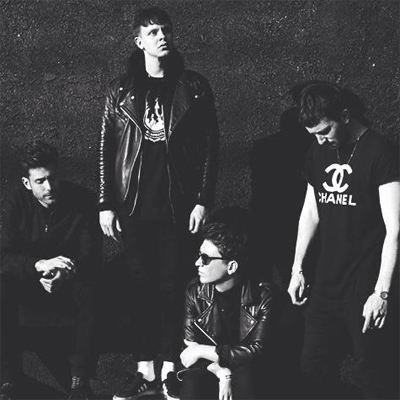 The A-side is by the band The Neighbourhood. The other release will be issued on the 17th of June in the US which will be their first physical single featuring Your New Beloved on the A-side and Dying To Start Again on the flipside. This is a Record Store Day release from April this year. It is a 12" single which features the band Toy on side A and The Horrors on side B with the tracks Motoring/Moving Further Away. Each song was remixed by one or more band members from the other band, giving this release a nice extra touch. The other day I found this Dutch promotional CDr for Gotye's 2012 digital single I Feel Better. There are some nice artwork differences between this promo and the UK promo which was issued a few months later. And so I decided to remove the comment boxes from the website today. Mainly because it was used for a lot of spam (which was thankfully always blocked) and it wasn't used that much by normal visitors. So if you want to contact me or post a message than just use the Contact form or drop me a message on Facebook! Just when you thought that you own most, if not all, releases by Mirrors, a new promo pops up on the internet. The update of today features a Dutch promo for their 2011 single Into The Heart which comes in a jewelcase. This little 10" came in today. It features two live recordings, one by The Horrors and one by The Black Belles. Check the details here for this limited Still Life/Wishing Well release, issued by Rough Trade last month. Two promos for The Horrors' debut EP and album came in this week. Check the artwork and details here for The Horrors EP and Strange House. Lovelife issued a new tour-only EP last month called MMXIII. I do not own this release yet so I cannot show any scans, but the info should be fairly accurate. So ready - set - Go! and start searching for a copy in case you miss one. It's a Vile day today since Vile Electrodes announced four (yes, 4!) new releases for the next few months. Two of them are re-issues of previously released EP's in 2011 and 2012 being Play With Fire and The Last Time. Re-Emerge will be their first new EP for 2013 with three new tracks and it will come in a professionally made digipack, just like the other two re-issues. The fourth release, which is probably also the most anticipated one, will be their debut album which will be called The Future Through A Lens. We can expect a digital, CD and CD deluxe release for the album. After some waiting it finally arrived today, 宇宙戦隊NOIZ's 2002 demo CDr for 0ーレイー. Check the details over here including the sleeve which is (I think) the first time it is shown on a website! Lovelife announced a new EP about 35 minutes ago which is going to be called Stateless and will be released this Summer. The formats remain unknown so far, but I am sure that we can at least expect a free digital copy and possibly a vinyl release (fingers crossed!). Today was Mayhem Day, also known as Carrot Dangling Day or Record Store Day. Anyway, Gotye released State Of The Art on lovely pink (looks more red though) 12" vinyl. A split 12" by Toy and The Horrors was released today as well for which I will add further info soon. Second update for today which contains two exiting items, not because of their looks, but because of their nature. I have added a vinyl test pressing and an instrumental in-house CDr for Zebra and Snake's 2012 debut album Healing Music. Check out the details here! 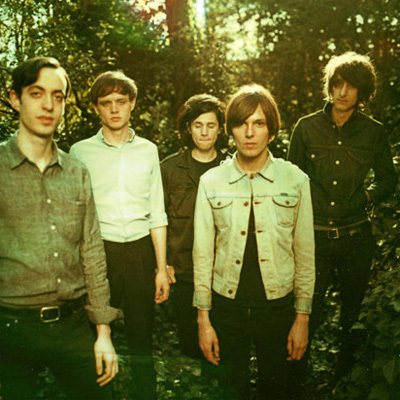 I've added a new promo for The Horrors' Strange House album. This one is a CDr from the UK on the Universal Music Publishing Group label and is for whatever reason missing the first song Jack The Ripper. The first two singles are also available for viewing. After a two month delay I can finally present to you The Horrors, the latest artist at RunOutGrooves! They are from the UK, issued three albums so far, where each album represents a different style so it really is hard to classify them. Right now you can check out their albums, EP's and miscellaneous releases which are crammed with scans of the standard, promotional and foreign releases. Singles will hopefully be added in the next week or two. Enjoy!